(only taken at home, something made her try this time). 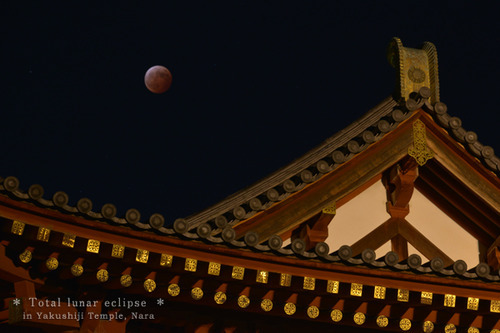 Lanterns, beautiful song singing and total lunar eclipse at a special place like Yakushi-ji Temple. and reconfirm that Nara is such a beautiful place.